NewLink offers NewLink Virtual Dedicated Servers powered by Microsoft Hyper-V™ to provide an alternative to our Dedicated Server offerings. Each NewLink Virtual Dedicated Server performs and behaves exactly like a stand-alone server for both users and applications. NewLink Virtual dedicated server is an outstanding way for customers to enjoy the benefits of a highly available server architecture and high-speed SAN at an attractive price point. The light overhead and efficient design of the Hyper-V hypervisor make it the right virtualization choice for server consolidation and disaster recovery in both development and production environments. In addition, included managed monitoring services ensure that your applications are reliably running around the clock. In the event of an unanticipated problem, our support staff is notified immediately, allowing them to rectify the problem immediately. Managed backups guarantee that customer data is stored on redundant storage systems. Should data integrity issues arise, our staff can help customers painlessly restore previously backed up data. As an option NewLink is able to provide backup and synchronization services on your own servers in case you believe this is a necessity. Depending on the type of application this can be an on-line synchronization or off-line backup. Contact info@newlink.eu for more information. 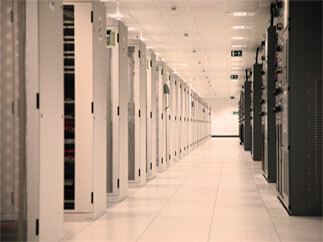 The "Dedicated Server" service is 100% designed, operated and maintained by NewLink.